What makes a timeless design? It’s the ultimate conundrum of designers and home owners the world over. Is it a trend-eschewing colour palette, a particular style of furniture or maybe a simpler approach to layering? Perhaps it’s all of the above, orchestrated by an expert hand. Case in point – the home of the late Joseph founder Joe Ettedgui, a residential project which turns 10 years old this year but is as fresh and inspiring as it was a decade ago. 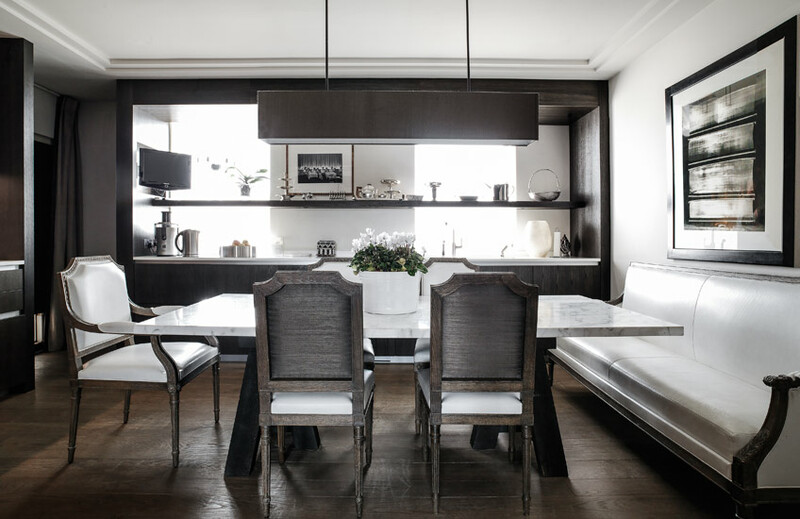 Designed by the esteemed Parisian firm Gilles & Boissier, the scheme blends blonde, ash and dark woods (very much a 2017 look) with ease, accessorises with unique sculptural decor and dresses with furniture pieces which have been reduced to their absolute purest form – no more and no less than they need to be. The result? An current design which impressively defies time, existing instead in its own time-free universe. 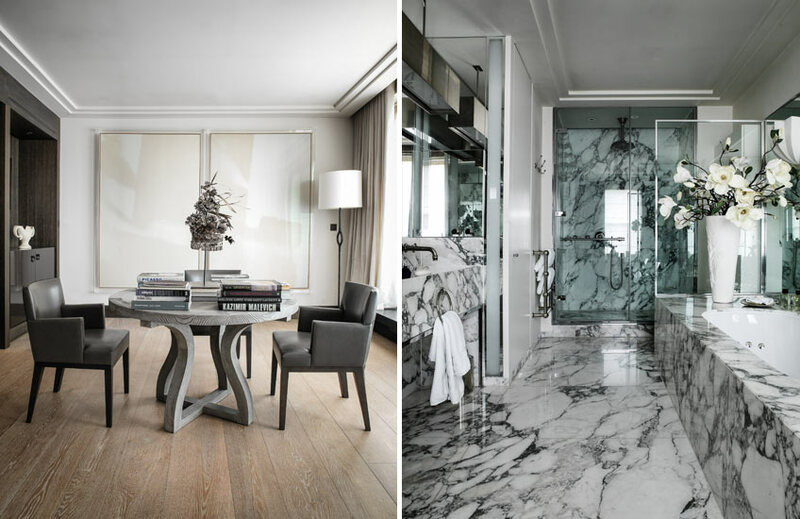 LuxDeco.com spoke to the firm’s principal Dorothée Boissier for her take on what makes a timeless interior. Q: The fabric world is always full of choices. What is your criteria for choosing fabrics which endure the years? Some fabrics are made to last for years and others are not. Some age wonderfully well and mature over time; others must remain impeccable. Each of them has its particular role and is useful in material combinations. Generally I like the fabrics that have grown old – I look at them as people who have gone though the years with us. Leather, suede, velvet and linen accompany us for a long time and take an attractive patina. Others – cottons and silks – grow old quickly and remind us that time passes. I do not choose a fabric because it ages well but because it has a role within a composition. Q: Which furniture designs do you regard as timeless? What are your rules for choosing furniture? I love real interiors. Furniture could be seen as actors within a scene. Depending on the scene, they must disappear or assert themselves. Between the two, there is a hierarchy between those which will have the leading role and those which will be in the background. The furniture we love varies from different cultures – often discrete – and from different eras and they mix evidently to create a dialogue. They are all timeless. Q: Are there any colour palettes you stick to? We like symphonies of white, cold white, white chalk, white cream, beige, earth and clay colours. 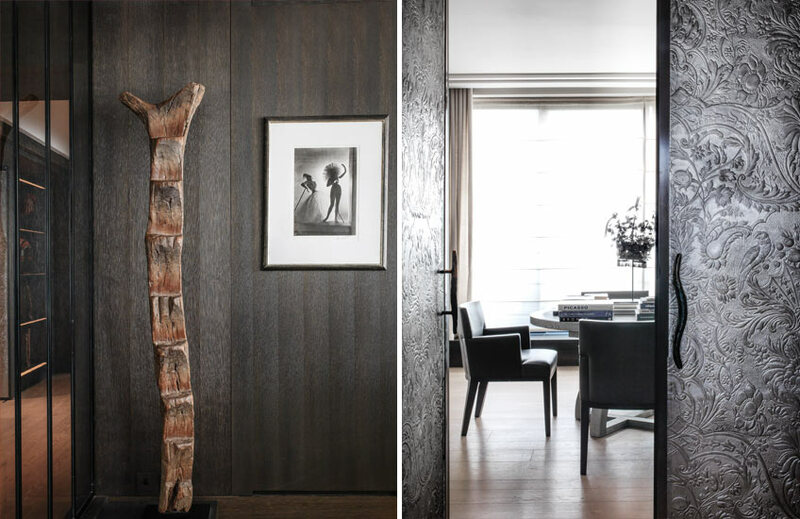 [Also,] wood, marble and metal are at the centre of our palettes – they give tone to the colours. Sometimes colours emerge – a pink flesh, a navy blue, a black tar. But it does not take precedence over others. Q: What is your goal in designing an interior? We are not trying to be interesting. We aim to be fair. Above all, we want to respond to a precise request – a confidence given beyond fashion and decorative effects that could appear free. The late Joseph Ettedgui had given us the best compliment, “You made me the best custom-made suit”. Q: What are the rules for choosing decor and art which doesn’t go out of style? Art is part of our decoration from the beginning of the project. It is an integral part of the decor and contributes to a general balance between the decor, the furniture and the objects. Q: Are there any furniture arrangements which don’t ever age? When decoration, furniture and objects interact with harmony as well as materials and colours, there is obviousness and timelessness. Every object has its place, its history, for a long time.